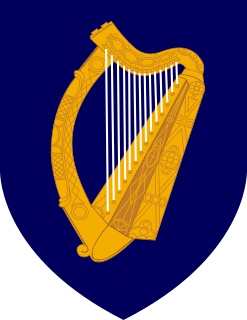 1 See coat of arms regarding use of a crowned harp as the arms of Ireland. Although numerous flags of Ireland existed during the period, the Kingdom of Ireland had no official flag. [nb 1] See List of flags of Ireland. A client state is a state that is economically, politically, or militarily subordinate to another more powerful state in international affairs. Types of client states include: satellite state, associated state, puppet state, neo-colony, protectorate, vassal state, and tributary state. Gaelic Ireland was the Gaelic political and social order, and associated culture, that existed in Ireland from the prehistoric era until the early 17th century. Before the Norman invasion of 1169, Gaelic Ireland comprised the whole island. Thereafter, it comprised that part of the country not under foreign dominion at a given time. For most of its history, Gaelic Ireland was a "patchwork" hierarchy of territories ruled by a hierarchy of kings or chiefs, who were elected through tanistry. Warfare between these territories was common. Occasionally, a powerful ruler was acknowledged as High King of Ireland. Society was made up of clans and, like the rest of Europe, was structured hierarchically according to class. Throughout this period, the economy was mainly pastoral and money generally not used. A Gaelic Irish style of dress, music, dance, sport, architecture, and art can be identified, with Irish art later merging with Anglo-Saxon styles to create Insular art. Diplomatic recognition in international law is a unilateral political act with domestic and international legal consequences whereby a state acknowledges an act or status of another state or government in control of a state. Recognition can be reaccorded either de facto or de jure. Recognition can be a declaration to that effect by the recognizing government, or an act of recognition such as entering into a treaty with the other state. A vote by a country in the United Nations in favour of the membership of another country is an implicit recognition of that country by the country so voting, as only states may be members of the UN. The Parliament of Ireland passed the Acts of Union 1800 by which it abolished itself and the Kingdom. The act was also passed by the Parliament of Great Britain. It established the United Kingdom of Great Britain and Ireland on the first day of 1801 by uniting the Crowns of Ireland and of Great Britain. 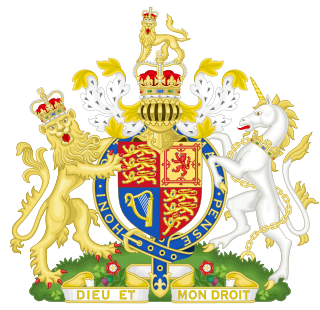 The Acts of Union 1800 were parallel acts of the Parliament of Great Britain and the Parliament of Ireland which united the Kingdom of Great Britain and the Kingdom of Ireland to create the United Kingdom of Great Britain and Ireland. The acts came into force on 1 January 1801, and the merged Parliament of the United Kingdom had its first meeting on 22 January 1801. Laudabiliter was a Papal Bull issued in 1155 by Pope Adrian IV, the only Englishman to have served in that office. Existence of the bull has been disputed by scholars over the centuries; no copy is extant but scholars cite the many references to it as early as the 13th century to support the validity of its existence. The bull purports to grant the right to the Angevin King Henry II of England to invade and govern Ireland and to enforce the Gregorian Reforms on the semi-autonomous Christian Church in Ireland. Richard de Clare ("Strongbow") and the other leaders of the Norman invasion of Ireland (1169–71) claimed that Laudabiliter authorised the invasion. These Cambro-Norman knights were retained by Diarmuid MacMorrough, the deposed King of Leinster, as an ally in his fight with the High King of Ireland, Ruaidrí Ua Conchobair. Pope Adrian IV, also known as Hadrian IV, was Pope from 4 December 1154 to his death in 1159. Pope Clement VII, born Giulio di Giuliano de' Medici, was head of the Catholic Church and ruler of the Papal States from 19 November 1523 to his death on 25 September 1534. “The most unfortunate of the Popes,” Clement VII’s reign was marked by a rapid succession of political, military, and religious struggles — many long in the making — which had far-reaching consequences for Christianity and world politics. Annulment is a legal procedure within secular and religious legal systems for declaring a marriage null and void. Unlike divorce, it is usually retroactive, meaning that an annulled marriage is considered to be invalid from the beginning almost as if it had never taken place. In legal terminology, an annulment makes a void marriage or a voidable marriage null. Henry was proclaimed King of Ireland by the Crown of Ireland Act 1542, an Act of the Irish Parliament. The new kingdom was not recognised by the Catholic monarchies in Europe. 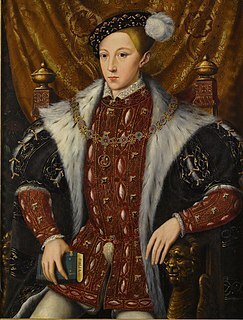 After the death of King Edward VI, Henry's son, the papal bull of 1555 recognised the Roman Catholic Queen Mary I as Queen of Ireland. The link of "personal union" of the Crown of Ireland to the Crown of England became enshrined in Catholic canon law. In this fashion, the Kingdom of Ireland was ruled by the reigning monarch of England. This placed the new Kingdom of Ireland in personal union with the Kingdom of England. When Henry VIII was excommunicated by the Roman Catholic Church in 1538, all but two of the bishops of the Church in Ireland followed the doctrine of the Church of England,  although almost no clergy or laity did so. Having paid their Annates to the Papacy, the bishops had no reason to step down, and in the 1530s nobody knew how long the reformation would last. Unlike Henry VIII, this hierarchy was not excommunicated by the Papacy, and still controlled what became the State Church of the new Kingdom in 1542, and retained possession of most Church property (including a great repository of religious architecture and other items, though some were later destroyed). In 1553, Irish Catholics were heartened by the coronation of Queen Mary I, who persuaded the Papacy to recognise the Kingdom in 1555, via the papal bull "Ilius". Then in 1558 the Protestant Queen Elizabeth I came to the throne, survived the 1570 bull Regnans in Excelsis , and all but one of the following monarchs were Anglican. 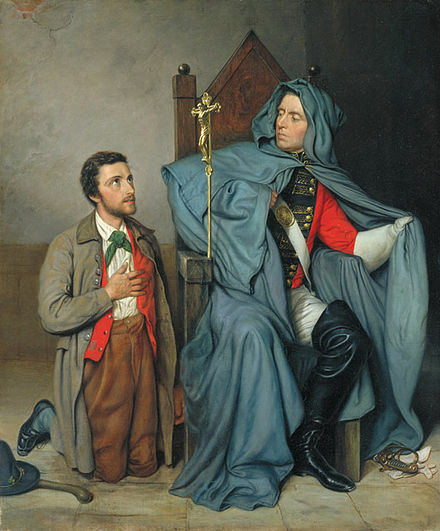 Contrary to the official plan, the substantial majority of the population remained strongly Roman Catholic, despite the political and economic advantages of membership in the state church. Despite its numerical minority, however, the Church of Ireland remained the official state church until it was disestablished on 1 January 1871 by the Liberal government under William Ewart Gladstone. The insignia of Ireland have variously been given by early writers. In the reign of Edward IV, a commission appointed to enquire what were the arms of Ireland found them to be three crowns in pale. It has been supposed that these crowns were abandoned at the Reformation, from an idea that they might denote the feudal sovereignty of the pope, whose vassal the king of England was, as lord of Ireland. 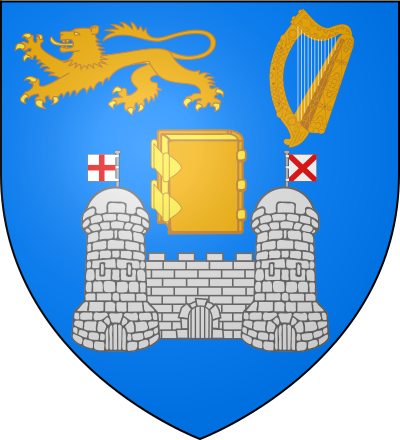 However, in a manuscript in the Heralds' College of the time of Henry VII, the arms of Ireland are blazoned azure, a harp or, stringed argent; and when they were for the first time placed on the royal shield on the accession of James I. they were thus delineated: the crest is on a wreath or and azure, a tower (sometime triple-towered) or, from the port, a hart springing argent.Another crest is a harp or. The national flag of Ireland exhibits the harp in a field vert. 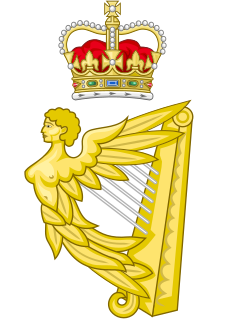 The royal badge of Ireland, as settled by sign-manual in 1801 is a harp, or, stringed argent, and a trefoil vert, both ensigned with the imperial crown. The red saltire on white ground which represents Ireland in the Union flag had only an ephemeral existence as a separate flag. Originating as the arms of the powerful Geraldines, who from the time of Henry II held the predominant position among those whose presence in Ireland was due to the efforts of the English sovereigns to subjugate that country, it is not to be expected that the native Irish should ever have taken kindly to a badge that could only remind them of their servitude to a race with whom they had little in common, and the attempt to father this emblem upon St Patrick (who, it may be remarked, is not entitled to a cross – since he was not a martyr) has evoked no response from the Irish themselves. The earliest evidence of the existence of the red flag known to the author occurs in a map of "Hirlandia" by John Goghe dated 1576 and now exhibited in the Public Record Office. 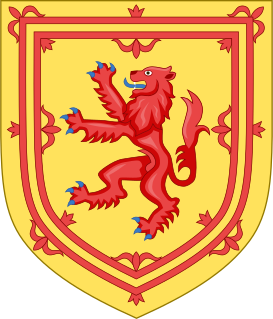 The arms at the head of this map are the St George's cross impaled on the crowned harp, but the red saltire is prominent in the arms of the Earl of Kildare and the other Geraldine families placed over their respective spheres of influence. The red saltire flag is flown at the masthead of a ship, possibly an Irish pirate, which is engaged in action in the St George's Channel with another ship flying the St George's cross. The St George's flag flies upon Cornwall, Wales and Man, but the red saltire flag does not appear upon Ireland itself, though it is placed upon the adjacent Mulls of Galloway and Kintyre in Scotland. It is, however, to be found in the arms of Trinity College, Dublin (1591), in which the banners of St George and of this saltire surmount the turrets that flank the castle gateway. The Graydon MS. Flag Book of 1686 which belonged to Pepys does not contain this flag, but give as the flag of Ireland (which, it may be noted, appears as an afterthought right at the end of the book) the green flag with St George's cross and the harp, illustrated in Plate X, fig. 3. The saltire flag is nevertheless given as "Pavillon d'Ierne" in the flags plates at the commencement of the Neptune François of 1693, whence it was copied into later flag collections. Under the Commonwealth and Protectorate, when England and Scotland were represented in the Great and other Seals by their crosses, Ireland was invariably represented by the harp that was added to the English and Scottish crosses to form a flag of the three kingdoms. At the funeral of Cromwell the Great Standards of England and Scotland had the St George's and St Andrew's crosses in chief respectively, but the Great Standard of Ireland had in chief a red cross (not saltire) on a yellow field. 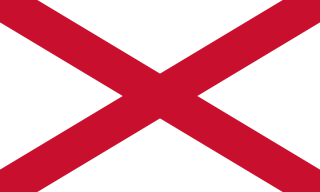 When the Order of St Patrick was instituted in 1783 the red saltire was taken for the badge of the Order, and since this emblem was of convenient form for introduction into the Union flag of England and Scotland it was chosen in forming the combined flag of England, Scotland and Ireland in 1801. The Union Jack, or Union Flag, is the national flag of the United Kingdom. The flag also has official status in Canada, by parliamentary resolution, where it is known as the Royal Union Flag. Additionally, it is used as an official flag in some of the smaller British overseas territories. 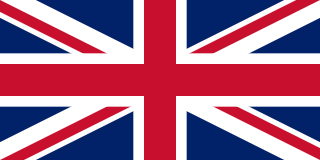 The Union Flag also appears in the canton of the flags of several nations and territories that are former British possessions or dominions, as well as the state flag of Hawaii. The flag of England is derived from Saint George's Cross. The association of the red cross as an emblem of England can be traced back to the Middle Ages, and it was used as a component in the design of the Union Flag in 1606. Since the 1990s it has been in increasingly wide use, particularly at national sporting events. 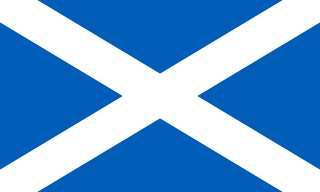 The Flag of Scotland consist of a white saltire in a blue field. As the national flag, the Saltire, rather than the Royal Standard of Scotland, is the correct flag for all individuals and corporate bodies to fly. It is also, where possible, flown from Scottish Government buildings every day from 8am until sunset, with certain exceptions. A portcullis is a heavy vertically-closing gate typically found in medieval fortifications, consisting of a latticed grille made of wood, metal, or a combination of the two, which slides down grooves inset within each jamb of the gateway. 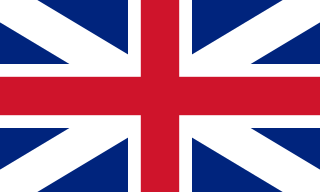 The flag of Great Britain, commonly known as the Union Jack or British flag, was used from 1606 to 1801. Saint Patrick's Saltire or Saint Patrick's Cross is a red saltire on a white field, used to represent the island of Ireland or Saint Patrick, the patron saint of Ireland. In heraldic language, it may be blazoned Argent, a saltire gules. Saint Patrick's Flag is a flag composed of Saint Patrick's Saltire. ↑ Morley, Vincent (2002), Irish opinion and the American Revolution, 1760–1783, Cambridge: Cambridge University Press, p. 4, retrieved 20 January 2012, Féach ár bpian le sé chéad bliain aige Gaill in éigean, gan rí dár rialadh de Ghaeil, mo chian, i ríoghacht Éireann. ↑ Richard Mant (1840), History of the Church of Ireland, from the Reformation to the Revolution, London: Parker, p. 275, The enactments concerns the Church in Queen Elizabeth's first Parliament had no unpleasant effects upon its governors; save that by the Act of Supremacy, or rather their own obnoxious conduct in defiance of it, two bishops were deprived of their sees: Leverious, bishop of Kildare, who refused to take the Oath of Supremacy; and Walsh, bishop of Meath, who not only refused to take the oath, but preached also against the queen's supremacy, and against the Book of Common Prayer.